St. Martin's Griffin, 9781250038272, 288pp. 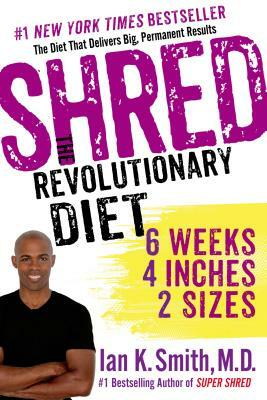 SHRED will rev up your body's performance, boost metabolism and shred excess weight permanently. SHREDDERS who have reached their goal weight and stayed there know that SHRED is a diet that never leaves you hungry—some say there's almost too much to eat! You can SHRED at home or on the road and customize SHRED to fit your specific weight loss goals.